Download the Walnut Creek Golf Course mobile app to enhance your experience. Mobile apps contain many features like scorecard, GPS, tee times, news, deals and more! Click on the icons for more information and free download. We hope your experience at our golf course is challenging, interesting and most importantly - enjoyable. We try to provide a friendly atmosphere for all good sports. Golf is a respectable game and such conduct is enjoyed at Walnut Creek and Club Run. 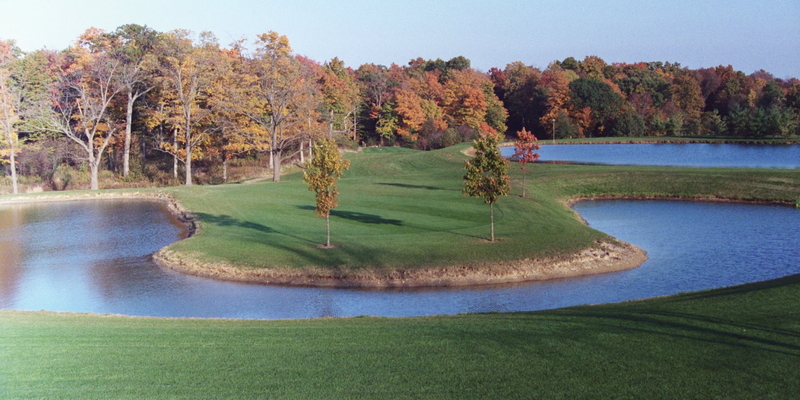 The Walnut Creek course opened July 1970 and the Club Run course was completed in 1998. Our designs have incorporated hills, woods, water and flatland to give challenging and interesting tests of golf. The new Club Run course is designed as a shot maker's course. It is not long but is strategic, as you will notice by the slope. It is a one of a kind golf course. The large selection of teeing areas on each course allows golfers of all abilities to appreciate the courses. 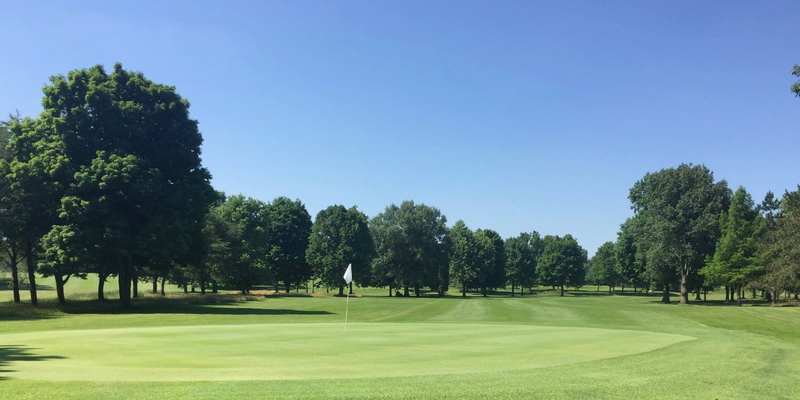 The two courses are more natural in design than most golf facilities in Indiana and enjoy 50' feet of elevation changes throughout the courses. They were not contrived, but have been developed in concert with nature. This is not a housing development; just play golf and enjoy the nature that envelops the Walnut Creek valley. Escape to the country and leave the crowds behind! They want to be your first destination of choice. 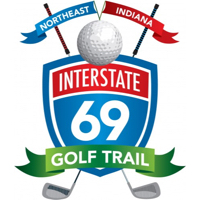 Interstate 69 at Gas City exit #59. Go east 1/4 mile, turn left (north) for exactly 1 mile to 4way stop and turn right (east) for 1/2 mile. Walnut Creek will be on your left. 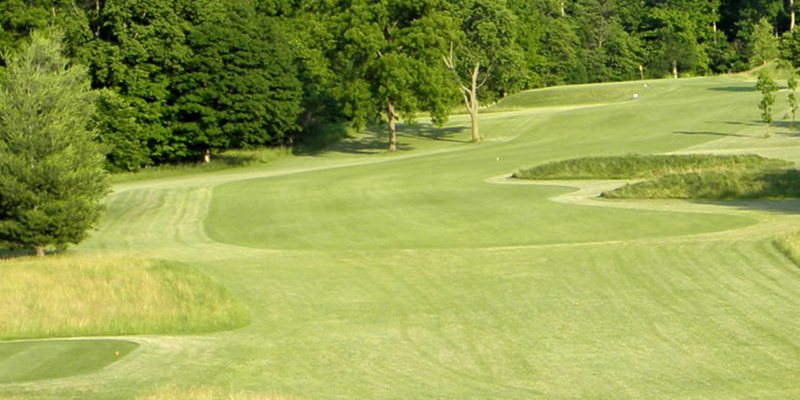 Leagues are limited to one course only on a rotating basis, the other course is always open. Personalized App that has online scoring, GPS and other features. We have a covered pavillion/covered driving range that is perfect for entertaining your guests. With two courses to choose from we can make your outing special. Best Western Plus and the Super 8 are both less than 2 miles from course. Several restaurants nearby. Packages start at $67 per day plus hotel tax per person, ddbl occp. look online for pricing. Book your rounds online to ensure your preferred time and call the hotel for the room reservations. The hotel will give you vouchers for the first 18 of each day, if you play additional holes pay at the golf course and get the replay rate. Casa Grande, Cracker Barrel, Starbucks, and Payne's Special Dining and several fast food names all are located within walking distance of our hotels and within 2 miles of the Golf Course. All are personally recommended. Ivanhoes is located only 3 miles from the Golf Course and is famous for its 101 selection of Sundaes. Paynes frozen Custard and Pub is located across the street from the Best Western Hotel. 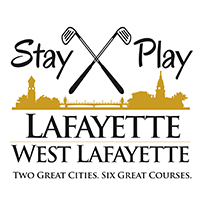 One of the best Steak houses between Indianapolis and Fort Wayne is located in Fairmount only 14 miles from the course. Several Bars are located in Gas City and Upland. Pub fare available at the Clubhouse along with a wide selection of craft beers. Walnut Creek FREE App is here! This profile was last updated on 12/17/2018 and has been viewed 18,985 times.